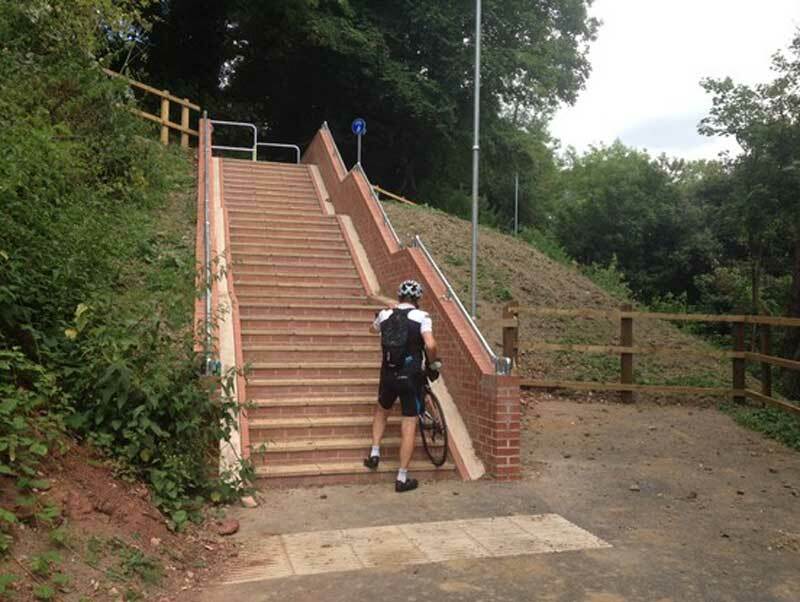 A new £350,000 cycle route has opened in Torquay, Devon, complete with a flight of steps. The new cycle route avoids a busy section of road. But there is a steep 60 metre section of steps in the middle of the path which runs out of the town. Torbay Council says it is 'considering options to improve this element' but only if they can get additional funding. The cycle route was funded by the Heart of the Southwest Local Enterprise Partnership as part of its approved programme of improvements known as the 'Torquay Gateway'. A council spokesman said: "As part of this phase of the scheme, a 60m section is served by steps with a provision to place a cycle in a channel to be pushed by hand. This overcomes a technical difficulty with the difference in level at this location. Whilst this is not an ideal solution, it does provide a safe and useable facility for a very short section of the route."